Want to create the wackiest Christmas photo you’ve ever seen? We thought so! That’s why we’ve booked a brilliant walk-in snowglobe perfect for families and friends to have some fun in. 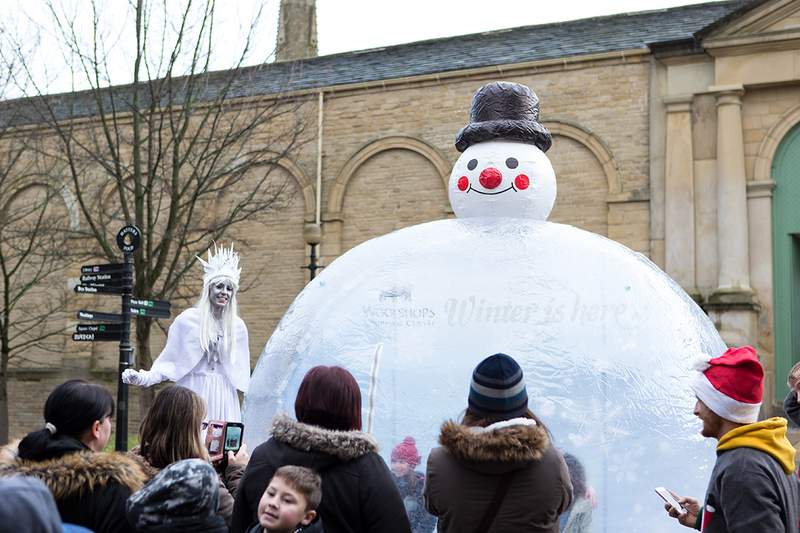 The 3-metre high globe holds up to six people and features a wonderful wintry backdrop, just like the ornamental snow globes from our childhoods. Make a super-cute scene or create something truly cringe-worthy: either way, here’s your chance to have a good laugh and take your social media snaps to whole new level! When: all day on December 8th; evenings December 13th and 20th. Where: Halifax town centre, exact location to be confirmed.